Synopsis: Dr. Neyedli’s research broadly investigates how humans select, plan and execute actions and more particularly how humans optimize their performance in terms of these actions in a variety of environments. She uses statistical decision making models to assess decision making through action selection in laboratory-based tasks as well as in applied settings. 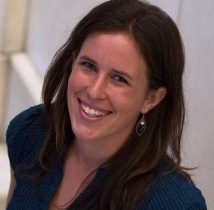 Her research also aims to investigate and improve the performance of human and technology systems with previous work investigating a range of applications from combat identification systems to prevent friendly-fire to brain-computer interfaces to provide neurofeedback for stroke patients.